York St Mary’s, Castlegate, York, YO1 9RN. More details at: www.yorkstmarys.org.uk. 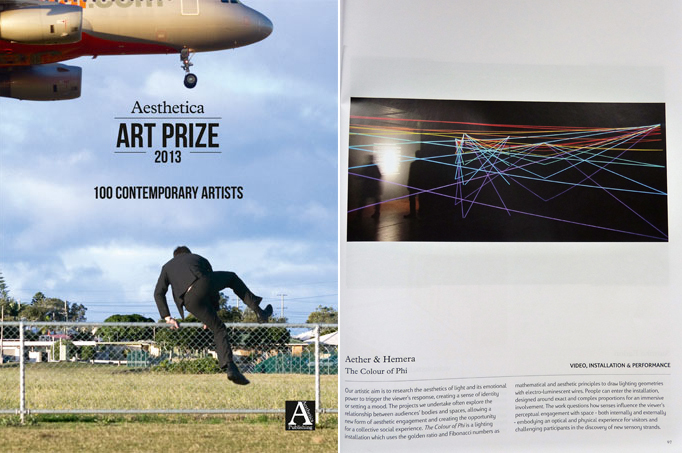 Showcasing innovative and outstanding pieces, the Aesthetica Art Prize Exhibition features shortlisted works from artists in the following categories: Photographic and Digital Art; Three Dimensional Design and Sculpture; Painting and Drawing, and Video, Installation and Performance. This show highlights artistic talent from locations including the USA, South Korea, Australia, Denmark and the UK. From thousands who entered, eight have been selected for exhibition and the work of a further 100 is projected within the space. This offers visitors an opportunity to experience the international breadth, and appreciate the range and quality of the work.